The recording of FOREVER MY LOVE, released in America as MOON OVER MIAMI, took place in April 1975 in Hamburg with soloists Ack van Rooyen (flugelhorn and trumpet), Herb Geller (flute) and Jiggs Whigham (trombone). Five of the original works on this album were written by Bert Kaempfert in co-operation with his musical partner Herbert Rehbein: the snappy Reggae Romp, where the trumpets and trombones toss the melody back and forth and the flutes occasionally shimmer through, is reminiscent of Kaempfert’s famous “Afrikaan Sound”; Cry Baby Cry, thickly scored and restful; Forever My Love, a romantic number which lent its title to the album; Walkin’ And Shoutin’, which looks to rhythm and blues as regards both form and melody; and Soft Shoulders, a number with a real bossa nova feeling to it which admirably manages to do without a true melody. The colorful interplay of the trombones and trumpets lends this number charm and it finally dies away with flurrying strings. And finally, I Love You So, which was written by Herbert Rehbein as early as 1964 with the solo trombone in mind. The remaining six titles are all true hits. Moon Over Miami, composed in 1935, gained great popularity through frequent radio play and in recordings by Connie Boswell, Eddy Duchin and later Vaughn Monroe and George Shearing. In 1941 it served as the title music for the film musical of the same name with great stars such as Betty Grable, Don Ameche and Robert Cummings. My Prayer from 1939 was composed by the violinist Georges Boulanger and is also known under its French title of ‘Avant de mourir’. The work was a hit for contrasting performers such as Glenn Miller and his singer Ray Eberle, The Ink Spots, and The Platters, who shot to the very top of the hit parade with the song in 1956. The present recording reflects the original scoring of the work for violin. Herbert Rehbein, who enjoyed classical violin training, impresses with his performance of the solo part in this recording. On The Sunny Side Of The Street was premiered in “The International Revue”, a spectacular Broadway show from 1930, and was heard in many subsequent film musicals. The cheerful melody has lost nothing of its popularity over the years and has taken its place among the evergreens. The electrifying, swinging Perdido is a composition which immediately brings Duke Ellington and his orchestra to mind. It was written in 1942 for Ellington by the Puerto Rican-born trombonist Juan Tizol and is today one of the best known jazz pieces. The Pagan Love Song was first heard in 1929 in the early film musical “The Pagan” where it was performed by Ramon Novarro. Twenty-one years later it was heard again in the cinema, this time sung by Howard Keel in the musical of the same name. 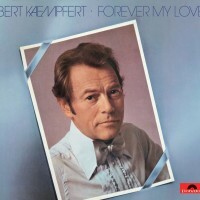 Bert Kaempfert lends the song a touch of the south seas through chromatic turns and sparkling glissandi on the harp which are enhanced by a Hawaiian guitar – heard here for the first and last time in Kaempfert recordings. Theme From “The Godfather, Part II” is the only “classic” to come from more recent times. The melody, a hit in its day, is the main theme from the second film of the Mafia trilogy “The Godfather”. It was written by the Italian composer Nino Rota, who received an Oscar for his music to this film.